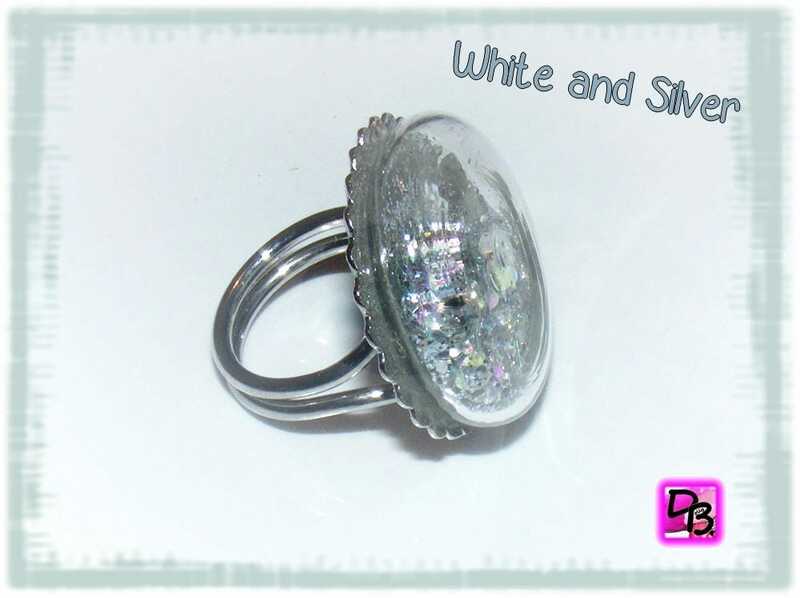 Unique glass globe filled, flat disc tiny microspheres iridescent translucent white, silver glitter and small sequins white hearts ring. Everything moves according to the movements of the ring. 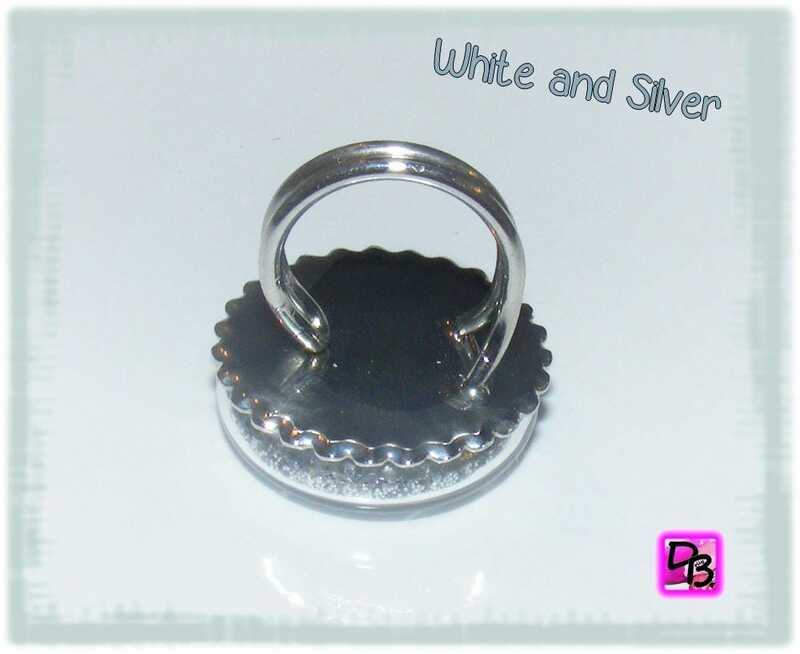 Ideal for a unique gift! 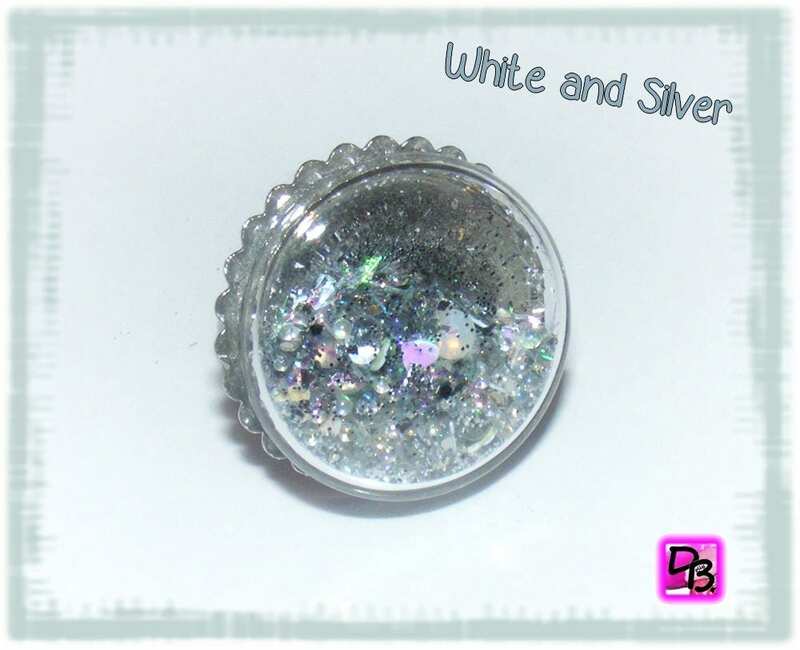 Material: Alloy RoHs very good quality silver color. This globe is glued to tray by Epoxy glue for linking metal to glass. Support and durability are guaranteed.